On this page we have tried to anticipate some of the more routine queries you may have if you are thinking of making a similar trip. you think we can help with any other query then get in touch. 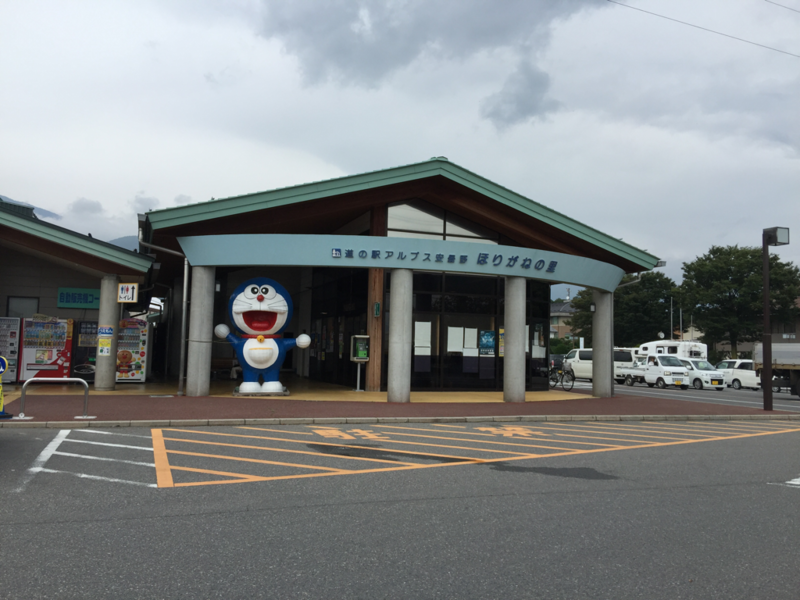 We have never used a campsite so can't help there but we can recommend staying at the roadside stations which are plentiful and safe and known as michi no eki in Japanese. 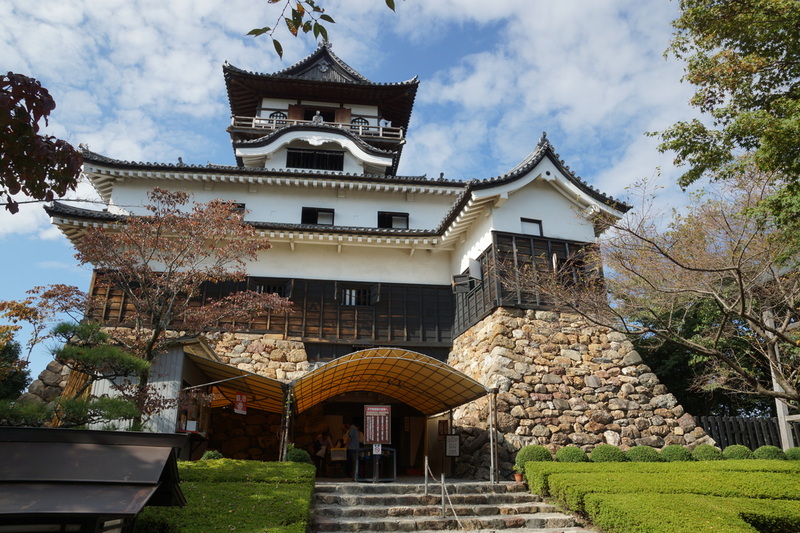 We described them more fully in Japan 2014 and they are free which is how a trip to Japan can be affordable. There is no electricity hook up on these roadside stations. We took cash with us, we also took preloaded cards and some back up dollars. We never managed to get cash from the preloaded cards, although it may be different in Tokyo but elsewhere in Honshu we never managed. The books say that there are cash machines in post offices that take international cards but never tried - the ones in the convenience stores did not work. Getting fuel was easy and the garages did all take cards. Ensure that you go to a manned garage as the self service pumps will try your language skills. People in the garages are helpful, fill your vehicle wash your windscreen and take away your rubbish. 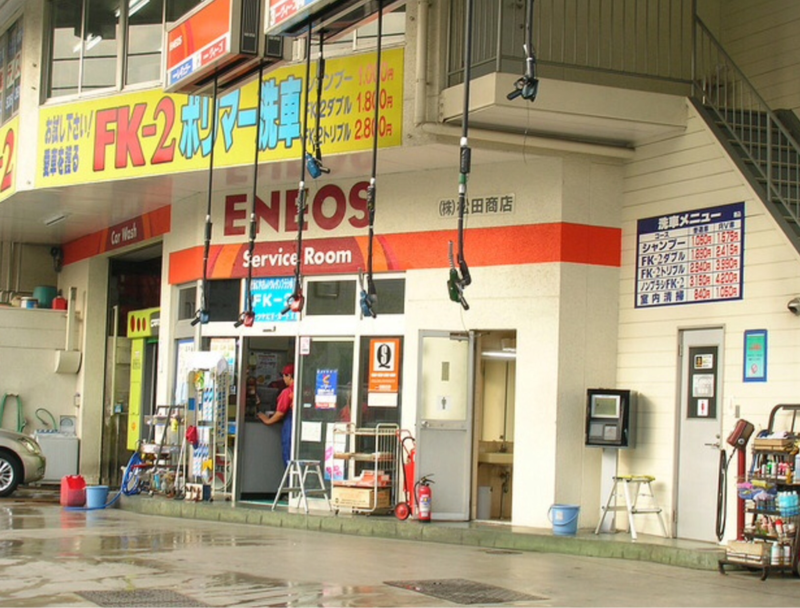 On the road there are lots of convenience stores, Lawson Station and Seven Elevens being the most common. These sell wine, beer, fresh coffee, prepared meals, hot snacks, crisps, toiletries - in fact pretty much all you may need. Supermarkets are plentiful and some take cards and some don't. The michi no ski will have farmers markets with fresh fruit and vegetables. Some regions have roadside stalls selling fruit and veg. too. All towns will have at least one. Some machines are huge and some already have detergent in them, if we were stuck there was usually someone nearby to guide us through. Google maps will guide you to the nearest laundrette. Since our visit in 2014 the availability of wifi has improved enormously. Nearly all the michi no eki we visited had free wifi and a number of the restaurants did too. Our motorhome also had some wifi. This is a problem. The best place to get rid of your rubbish is at the convenience stores and it is usually sorted into combustibles and then cans and plastic bottles. 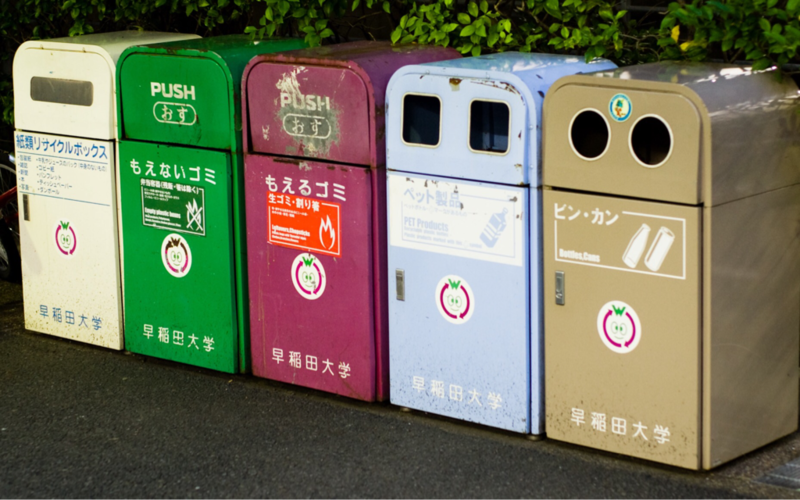 Sometimes the michi no eki had rubbish bins but in every case we are talking litter bin size no big wheelie bins. We rarely saw an array of bins like in the photo above. Sometimes you had keep your bottles for a while until there was somewhere to put them. Interestingly it was unusual to see any litter or fly tipping. 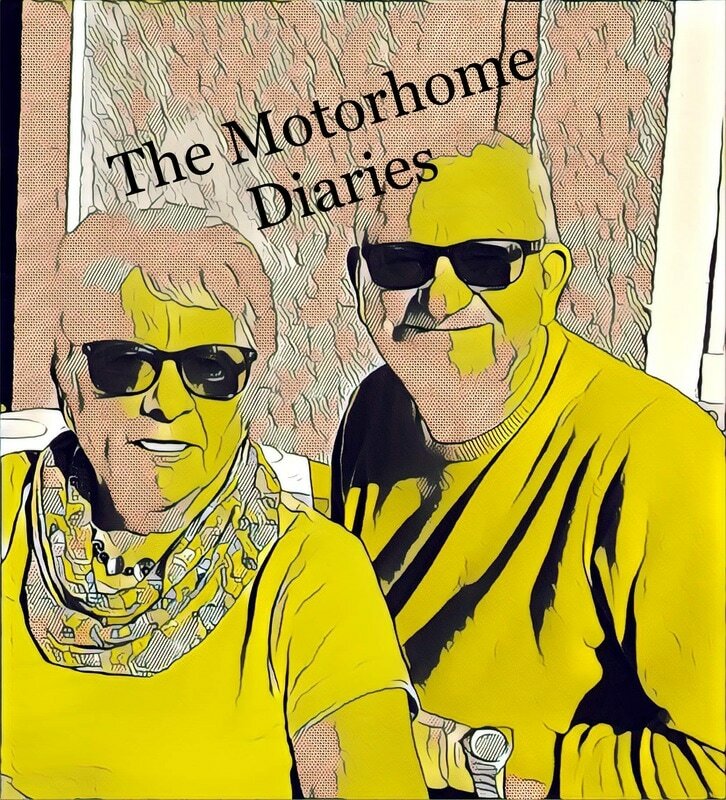 In a smallish motorhome we only cooked the simplest things and so ate out once most days. Outside Japanese restaurants there is usually a display of plastic food - perfect replicas of what you will have if you order that particular dish. Inside the restaurant there is often a menu with pictures so you can choose what you want. Remember that in tourist areas the food can be more expensive . 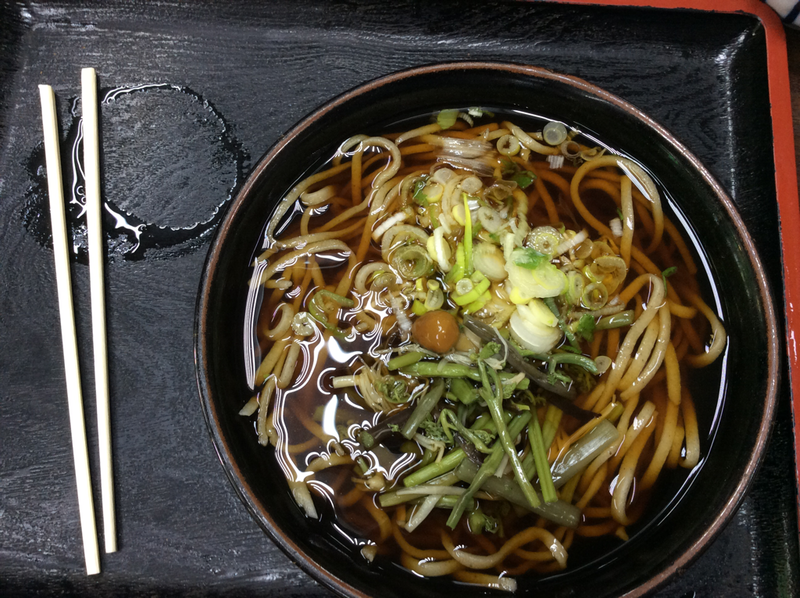 We ate at the michi no eki a lot - the food was cheap and plentiful. Ordering your food varied but mostly you had to order by machine. These machines are at the entrance to the restaurant, if you're lucky the machine will have a picture as well as a price and a title in Japanese, once you have chosen you put your money in the machine and select what you want. You will receive a ticket and your job now is to sit down and look expectantly at the kitchen counter as the lady brings out the food and shouts out a number that you aren't going to understand. At some point its useful to go up to her and show her your tickets and she is likely to remember you when your food is ready. When there is no picture on the machine you can look around as there may be a big sign on the wall with the pictures and you look at the symbols and pick the corresponding number. Alternatively, look at what other people are choosing, and if you fancy what they're having ask them to help you. Pick a young person, they may have the odd word of English. If you want a bit of western comfort food then there is McDonalds and Wendys. Proper restaurants vary - some have a gas ring on the table and you choose your food raw and cook it yourself- these are called Viking restaurants. Where there is a queue for a table you find that you have to write your name on a list and when your name gets to the top the the next table is yours. Street food is good, as is the food in the tiny bars. However the Lawson Station type shops offer a range of salads, sushi, patties. However you only have gas rings for heating up the simplest of dishes. They sell bread too, but the slices are very thick but make decent toast. If you can, bring one of those simple toast makers that you put on a gas ring. Bread rolls are often not that - they have cream or jam in them. There is butter and cheese and crisps and the gyoza (Japanese dumplings) are delicious. Real bread is available in large supermarkets. We took our own tea bags but coffee was readily available, we enjoyed the cold milky coffee from the corner shops. You must take your shoes off as soon as you enter the door, usually there is a locker to put them very close to the entrance. Pay at the counter and then follow the red curtain for women and the blue one for men. Strip off put your clothes in a locker (bring 100yen coin) and have a very good wash and rinse before entering the pools. Don't rely on being given a towel, take your own. There is shampoo and body wash and plenty of hot water. Take something to wash yourself with and, if you wish, your own additional personal products.There are hairdryers too. Some places give you a modesty towel ( the size of a tea towel if you're lucky) to dangle in front of your bits. We started to take our own that we also used to wash ourselves with. Onsen usually have a quiet tatami matted area and a restaurant too, so you can spend quite a bit of time there. There is often wifi too. Tattoos or drunkenness not welcomed st onsen as the picture below indicates. Nose blowing in public is rude, nip to the toilets. Fortunately for us Brits the Japanese drive on the left hand side. Driving standards seem good, drivers polite. There are very few roundabouts but lots of traffic lights. The roads are good but there are toll roads too which are relatively expensive (for a large vehicle anyway) but a good way to get from A to B. Road signs on the main roads usually have names of places in Romaji (western alphabet) as well as in Japanese. More remote places won't have Romaji and you will need to rely on your navigation device.